Bertolt Brecht's silent Kattrin in Mother Courage, or the disability performance lessons of his Peachum in The Threepenny Opera; Tennessee Williams' limping Laura Wingfield in The Glass Menagerie and hard-of-hearing Bodey in A Lovely Sunday for Creve Coeur; Samuel Beckett's blind Hamm and his physically disabled parents Nagg and Nell in Endgame - these and many further examples attest to disability's critical place in modern drama. This Companion explores how disability performance studies and theatre practice provoke new debate about the place of disability in these works. The book traces the local and international processes and tensions at play in disability theatre, and offers a critical investigation of the challenges its aesthetics pose to mainstream and traditional practice. The book's first part surveys disability theatre's primary principles, critical terms, internal debates and key challenges to theatre practice. Examining specific disability theatre productions of modern drama, it also suggests how disability has been re-envisaged and embodied on stage. 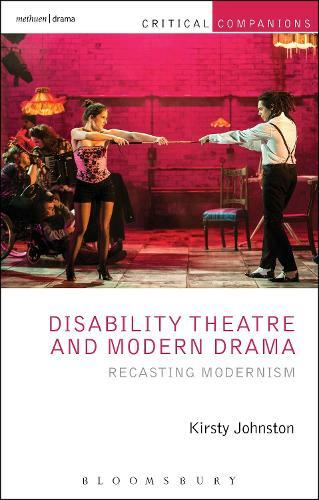 In the book's second part, leading disability studies scholars and disability theatre practitioners analyse and creatively re-imagine modern drama, demonstrating how disability aesthetics press practitioners and scholars to rethink these works in generative, valuable and timely ways.